Annjeannette (Angie) Cruz-Albertorio manages the budget, human resources, space and other administrative areas for NCATS’ Division of Pre-Clinical Innovation. 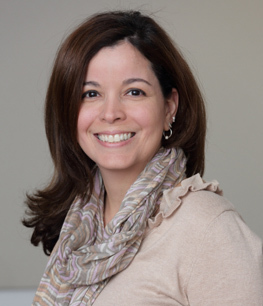 Cruz-Albertorio’s career with NIH began at the National Institute of Allergy and Infectious Diseases, where she served in the Human Subject Protection Office in Division of Clinical Research as a protocol coordinator for the institutional review board. She also worked as an administrative officer at the National Cancer Institute (NCI) Center for Cancer Research and as a team lead at NCI’s Basic Research Administrative Resource Center. At NCI, Cruz-Albertorio served on several committees and working groups to improve administrative processes and procedures. She received the NCI Director’s Award in November 2012 for her involvement in the Institute’s Project SEARCH internship program. Cruz-Albertorio holds master’s and bachelor’s degrees in business administration. Cruz-Albertorio’s areas of interest span a wide range of business administration topics, including management, budget and behavior in the workplace.